A classic tube microphone preamp and 1176LN compressor in a single unit. The 6176 Vintage Channel Strip combines the alluring, all-tube sounds of the legendary Bill Putnam-designed 610 microphone preamp, with the signature FET compression of our 1176LN, to create the ultimate recording channel strip. The warm, smooth tones of this mic preamp design — employed to record everyone from Frank Sinatra to Van Halen — and the unique characteristics of the compressor, are two major reasons why the 6176 is found in studios around the world. Thanks to its straightforward controls and hallmark sound, the 6176 is the signal path of choice for engineering heavyweights like Vance Powell and Joe Chiccarelli, plus artists including Chris Martin of Coldplay, Norah Jones, Wyclef Jean, and James Mercer of The Shins. The ability to “Split” or “Join” the preamp and the compressor sections via a simple switch gives the 6176 added flexibility. This is truly UA’s premier channel strip, and among the world’s finest. The 2-610 microphone and instrument preamplifier has received praise from many corners. Michael Cooper, in his review for Mix Magazine, called it "hands-down, the most dimensional mic preamp I've ever heard". Peter Wade, engineer/producer who has worked with acts ranging from Wyclef Jean to Jennifer Lopez, said simply, "This box rocks." The 6176 mic preamp sections maintains the quality and character of the 2-610 while adding high-tension power regulation for improved bass response and a front-panel 15db pad switch. 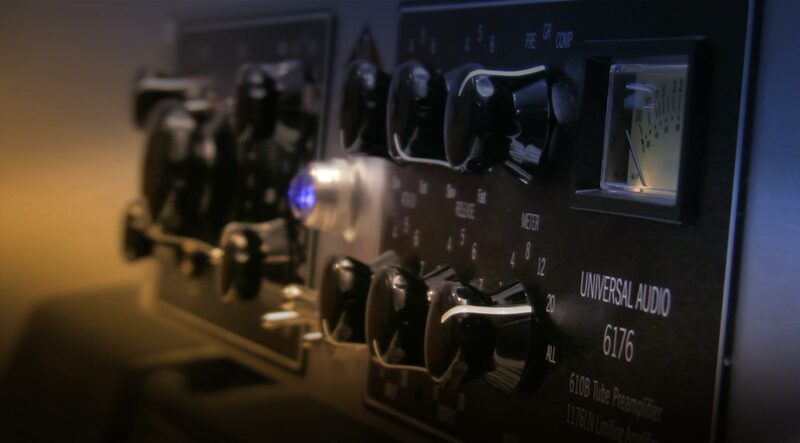 As legendary engineer/producer Andy Johns put it, "The 1176LN is the workhorse compressor." In fact, the 1176LN may well be the most loved compressor in history. Its trademark lightning-quick attack and release times and the tone of it's Class A output amplifier have enhanced countless recordings over the last thirty-five years. We've recreated the 1176LN for the compressor section of the 6176 with the same exacting, attention to detail and tradition we use on our 1176LN. The resulting character, heritage and tone simply cannot be found on other channel strips.